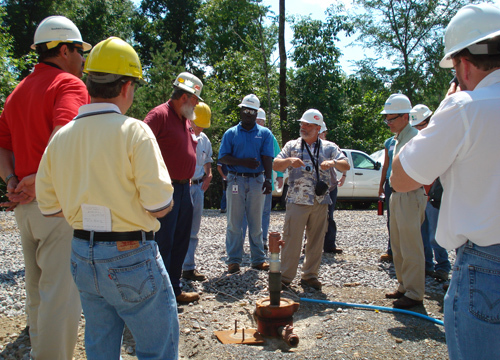 The U.S. Department of Energy (DOE) and its National Energy Technology Laboratory (NETL) has partnered with the Southern States Energy Board (SSEB) and others, from both industry and academia, to develop the Southeast Regional CO2 Sequestration Training Program (SECARB-Ed) for the southern United States. This will establish a CCS regional training program to facilitate national and global delivery of CCS technologies. SECARB-Ed is one of seven regional technology training programs established by DOE-NETL. Carbon capture and storage (CCS) technologies have tremendous potential for reducing CO2 emissions and mitigating global climate change. These technologies encourage economic growth and have manageable influence on energy use. Deploying these technologies on a commercial scale will require expanding the work-force (including geologists, engineers, scientists, and technicians) trained in CCS specialties. Training of the existing CCS workforce and the development of new professionals can be accomplished through fundamental research and educational opportunities. These CCS technology areas include: simulation and risk assessment; monitoring, verification, and accounting (MVA); development of geological related analytical tools and interpretation methods; methods to interpret geophysical models; well completion; capture and compression technologies; CCS related water use and produced water treatment; integration of capture; transport and storage; public outreach; and integrity of potential reservoirs for long-term CO2 storage.